Scott Gabriel, MD, FACS, has been a member of the General Surgery Associates team in Las Vegas since 2005. Dr. Gabriel is a general surgeon, licensed by the American Board of Surgeons to treat a wide variety of conditions and diseases. Dr. Gabriel earned his Bachelor of Science degree in combined sciences at Youngstown State University in Ohio. He continued on to Northeastern Ohio Universities Colleges of Medicine, where he completed his Doctor of Medicine. His postgraduate medical training included an internship and residency at Mercy Hospital of Pittsburgh. A prolific medical researcher and writer, Dr. Gabriel has been published or participated in presentations on a wide range of topics, including handgun safety, car seat safety, and the treatment of traumatic aortic injury, esophageal injury, and inguinal hernia, among others. Dr. Gabriel is an Adjunct Instructor at Touro University, and enjoys working with medical students. 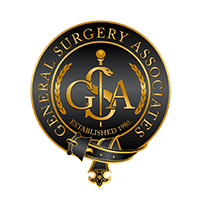 Dedicated to providing the best patient care possible, Dr. Gabriel has extensively studied medical ethics, methods of improving health literacy, and the importance of good physician-patient relationships.